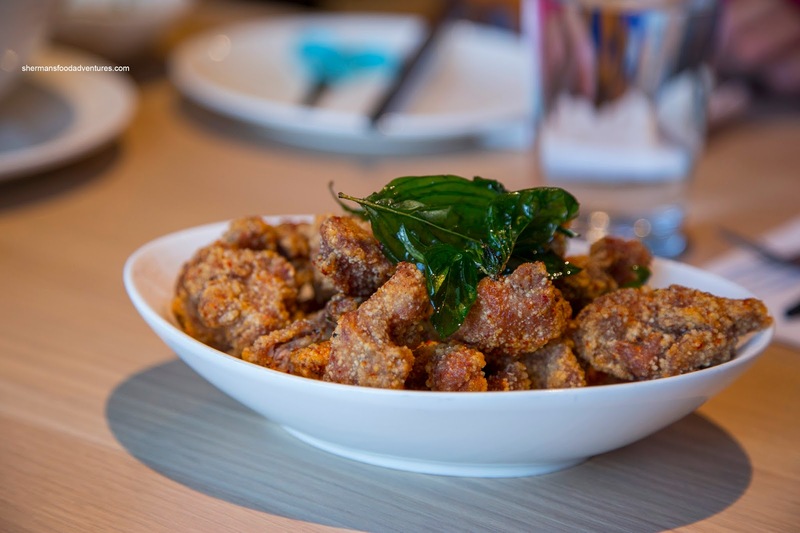 It has been very interesting watching the growth of Asian cuisine in Seattle and in particular Bellevue. I remember as a kid, my parents would take me to Hunan Garden on 8th Street. Even then, I was pretty sure the food wasn't all that good. Fast forward to the present, there are many choices including Din Tai Fung. After a relatively good experience at Facing East a while back, it was time to go back to the Taiwanese well with a visit to the newly opened MonGa. We actually had to wait a bit as the place was pretty busy. 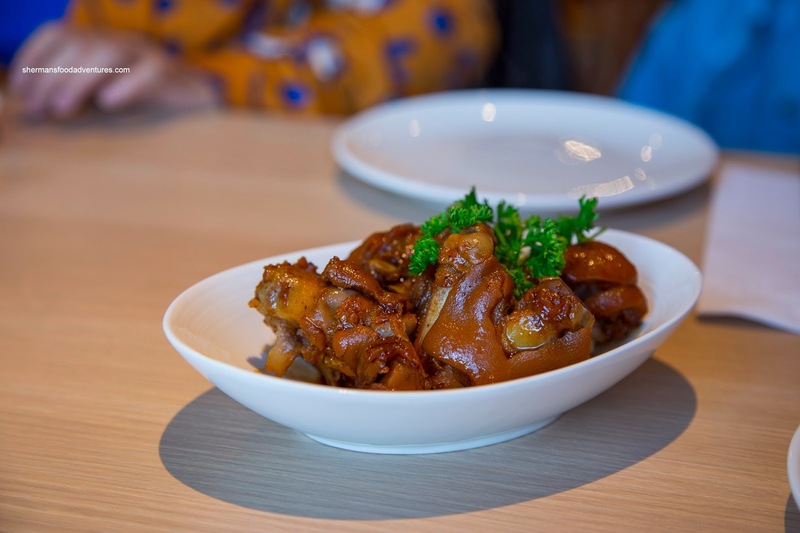 The first dish to arrive was the Pork Trotters and they were in an attractive shade of brown. The braising liquid had enough dark soy for colour as well as good flavour as well. Both the exterior and the cartilage underneath were moist, gelatinous and tender. Then we had the infamous Pork Belly Burger. 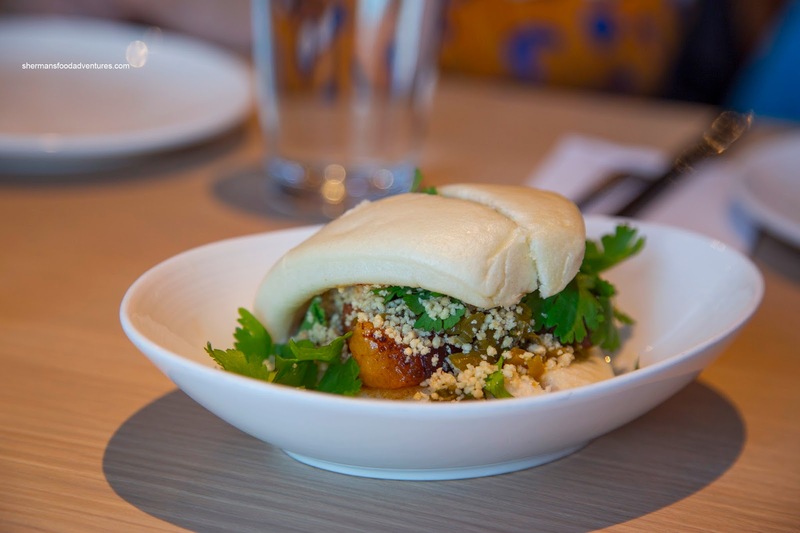 Consisting of a slice of pork belly, peanuts, sugar, pickled mustard greens and pork floss in a mantou, there was a little of everything in there in terms of flavour. The pork belly was moist and gelatinous without feeling too fatty (despite the obvious fat). Next, we had another Taiwanese favourite being the Fried Chicken Nuggets. I found them to be soft and really moist, but the batter lacked crispiness. It was almost as if they didn't coat each piece with enough batter and/or the chicken was fried before letting the batter rest. The seasoning was good though with a mild saltiness with a hint of five-spice and pepper. 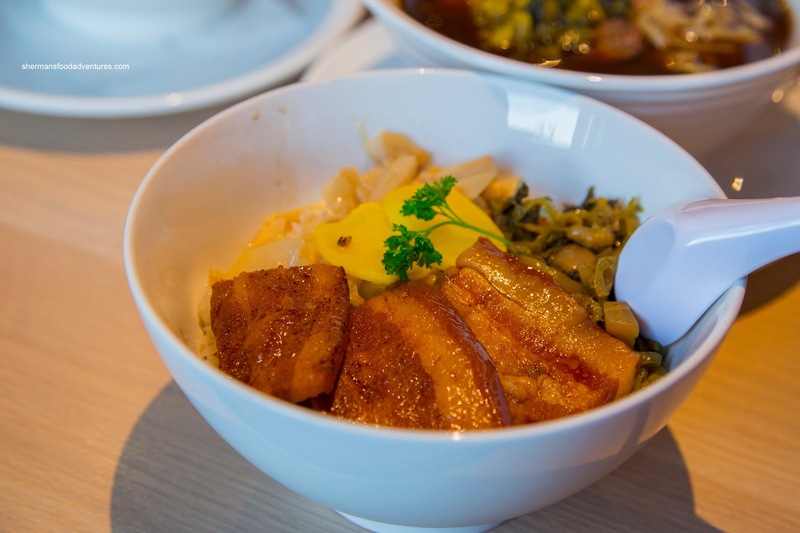 With even more pork belly, we had the Stewed Pork Belly on Rice. Benefiting from the same melt-in-our-mouths belly and pickled mustard greens, there was a nice balance of richness and tang. Combined with the chewy rice, this was good. Onto a staple of Taiwanese food, we had to get the Beef Noodle. In fact, we also got a second order that had tripe and tendon in it. Guess who wanted that one? 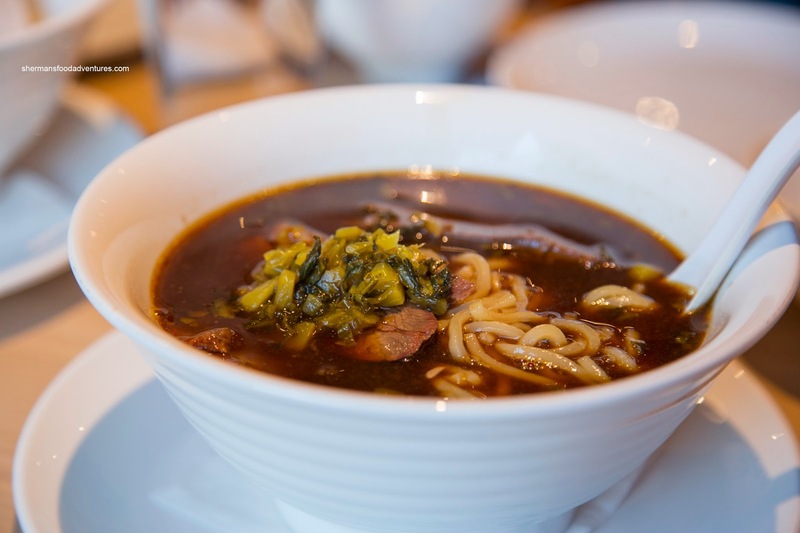 As for the soup, it was dark in color and fairly flavorful without being too salty. The chunks of beef were very soft, maybe a bit too soft as there was not much texture. The noodles were on the softer side as well. 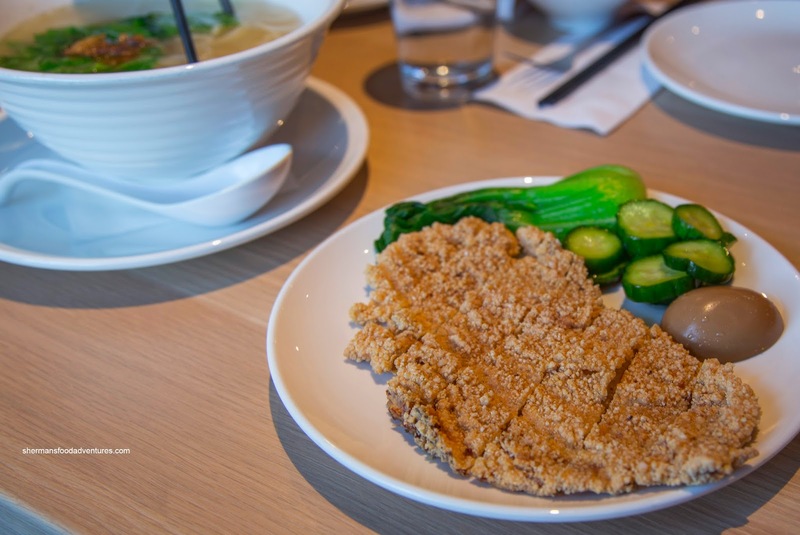 For the kiddies, we got them the Fried Pork Chop Noodle that featured a clear soup. I found the soup rather salty though. As for the pork chop, it was everything the chicken nuggets should've been. The coating was crispy and light where it successfully kept the pork moist and tender. 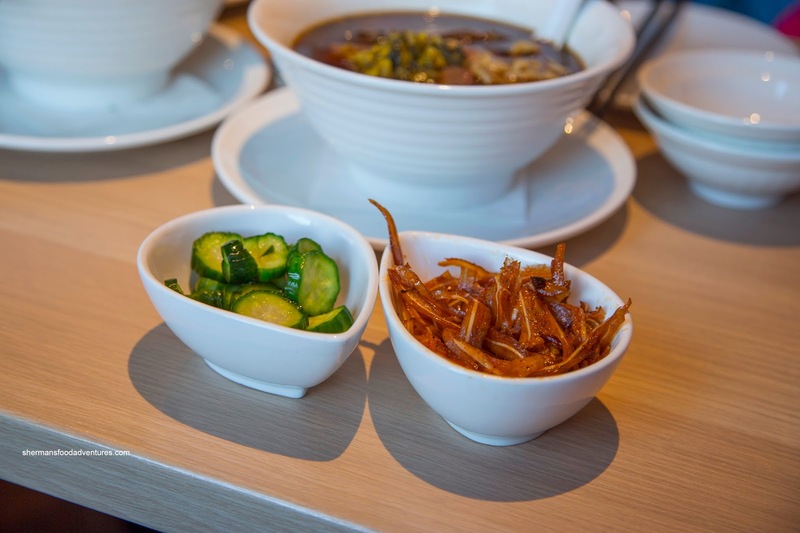 We also got some sides as part of a combo meal with the beef noodle including the Marinated Cucumber and Sliced Pig's Ear. The cucumbers were a touch limp, hence, the crunch was very subdued. It did taste okay though with a nicely vinegary hit. As for the pig's ear, it was gelatinous with only the slightest of chew. It was well seasoned with a slight spice. 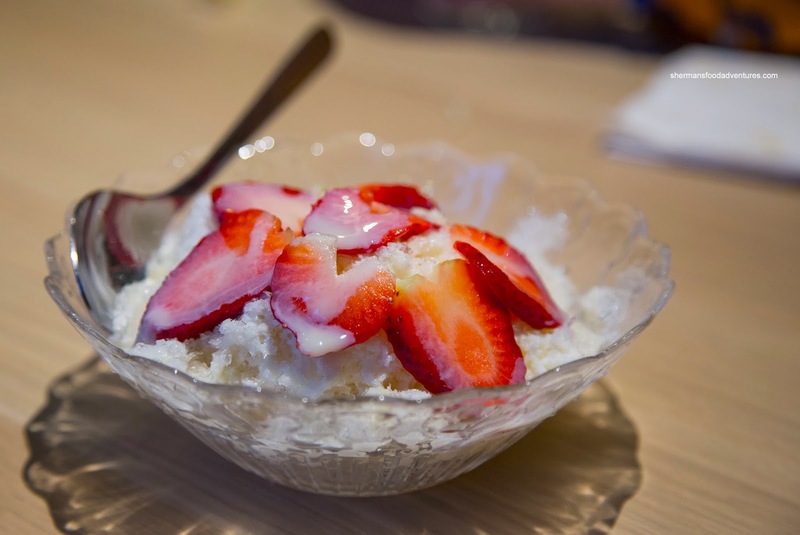 Lastly, we got a small bowl of Strawberry Shaved Ice for Goose's kids. Nothing particularly amiss with the dessert other than the meager amount of strawberries. 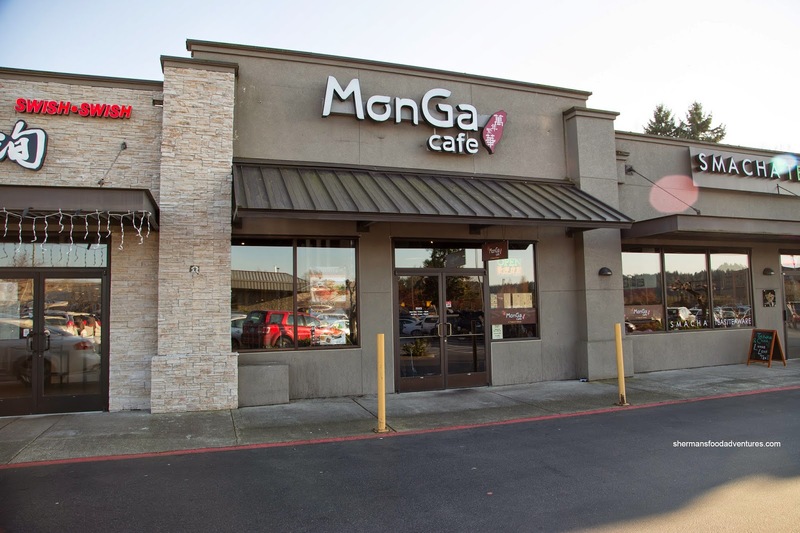 Overall, we found the food to be decent at MonGa. However, the portion sizes for some items, in particular, the pork chop noodles was small where there was only enough noodles of one small kid (we had to order 3 of these).